This is a Dodge Challenger R/T 440 Magnum Six Pack in Plum Crazy paint from 1971. When new it was quite affordable, and it was marketed as a car for the young and adventurous. Several different engines were available and the most potent had impressive power and performance. This 440 engine had 375 horsepower at 4600 rp/m. If this was not enough, buyers could pay a little extra to get the awesome 426 Hemi engine sporting 425 horsepower on paper. 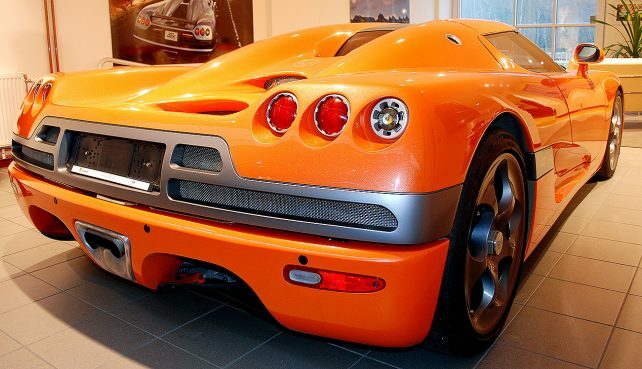 These cars are very rare and for its size seriously fast. Acceleration was quick, but hard to check. The standard 290 horsepower Dodge Challenger 340 could easily do 0-100 km/h in 6,2 seconds. The 440 Six Pack Dodge Challenger did it around 5,5 seconds, and it could top 211 km/h. 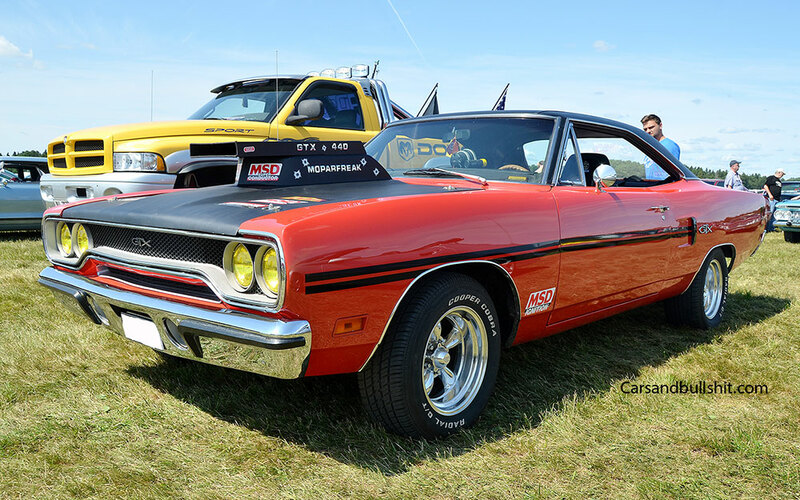 The Challenger was an icon and immortalized for its looks and performance in the 1971 movie Vanishing Point. However this Dodge Challenger is a stunning car, especially in plum crazy metallic paint and the optional Rallye wheels. 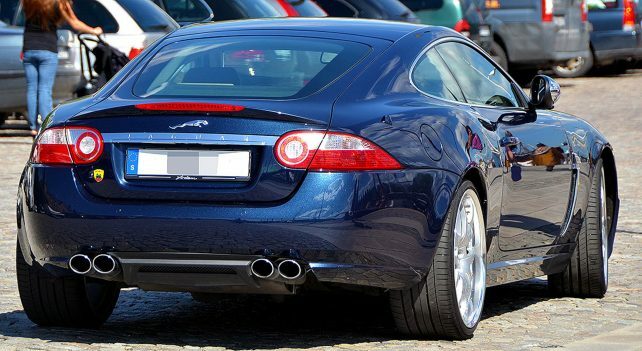 A standard Jaguar XKR isn’t exactly slow. But if you really want to spice it up, you might give Jochen Arden a call. He is very good at making English cars even better. An Arden XKR AJ20 Coupe is the ideal choice if you want to travel with style. It is also sporty in a comfortable way. It’s a rare sight and in a trip to beautiful Stockholm it suddenly appeared in front of me at the boardwalk. This is a delicious Arden XKR AJ20 Coupe. When the car was new, it was the fastest Jaguar ever made. Now it’s quite a lot way faster. Arden beefs up the engine to 4.5 liter, then fits it with a Eaton supercharger. This results in massive performance. Now, the V8 delivers a mighty 480 horsepower. Even more impressive is it´s torque, 640 Nm at 3850 rp/m. The top speed is 305 km/h and the Arden XKR AJ20 Coupe (very long name) has also got superb acceleration. Zero to 100 km/h, takes just 4.1 seconds. The outside also matches the performance, and with Arden´s aerodynamic design in combination with upgraded suspension and a sportier exhaust system, the XKR will be great to drive. It also has a refined body kit with discrete styling that makes the car look even lower. 21″ rims gives the car a wider stance and meaner look. The XKR did also sound as good as it looks. Not bad. 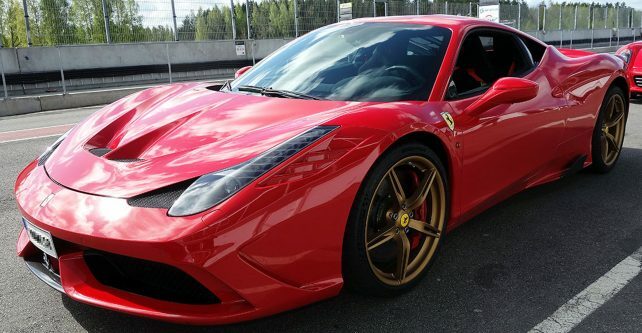 It’s painted in Rosso Scuderia with very nice golden diamond rims and has lots of options. The interior is a dream in black alcantara racing seats with red stitching and red seatbelts. And it moves too, and sounds terrific. The V8 delivers 570 bhp @ 9000 r/pm, has 540 Nm of torque @ 6000 r/pm and the DCT double clutch gearbox its fast. 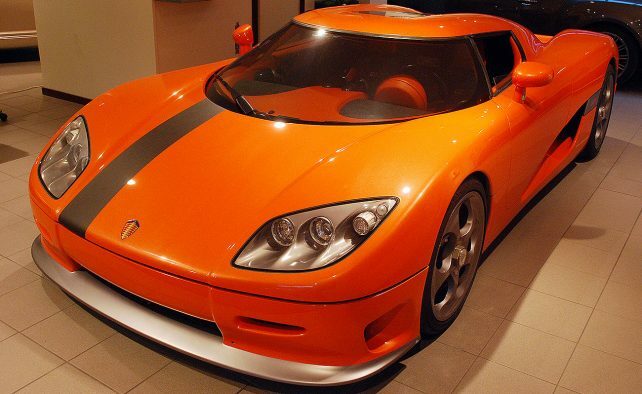 0-100 km/h at 3,4 seconds, and flat out it will reach 325 km/h. I took this picture and several others at the Autoropa Racing Day at Mantorp Park last year, and I will soon publish some other nice Italian cars from that event. Perhaps of this car when it’s flat out on the track.